Except I won’t be lying on a beach, Matt thought irritably. I’m going to go stare into some big crack in the ground and pretend I’m enjoying myself. Matt’s never understood how his father could be more interested in piles of ancient rocks than his own son. While Matt was playing his way through championships and earning a basketball scholarship to Duke, his dad was always gone—too busy digging up dust to notice anything going on in the current century. But now that he’s agreed to spend an entire month at one of his father’s digs, Matt’s about to discover a whole lot more than he bargained for in the wonders of a mysterious city that’s been lost for centuries. This thrilling adventure is bursting with action, laugh out loud humor, and maybe even a little romance. A guaranteed page-turner from cover to cover! 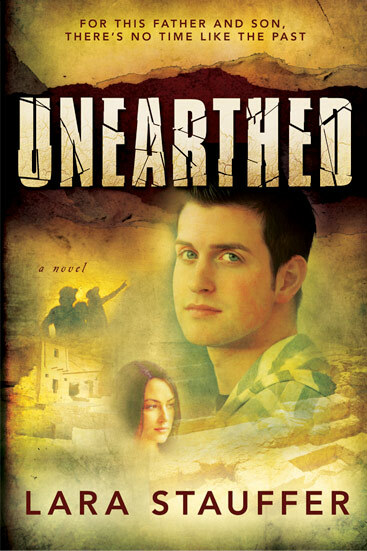 Unearthed is published by Cedar Fort, Inc.
“Unearthed” now in a Deseret Book Store near you! Now Available in the Kindle Store and on Nook!